Posted 21/01/2016 by frontrank & filed under Uncategorized. Posted 12/01/2016 by frontrank & filed under Uncategorized. Posted 24/11/2015 by frontrank & filed under Uncategorized. KNEELING, FIRING/LOADING & DEFENDING PLUS DEFENDING THE COLOUR! Posted by frontrank & filed under Uncategorized. 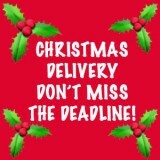 Christmas is approaching fast and so are the last ordering dates! Please place your orders by the latest dates below so that we can get them cast, packed and dispatched for Christmas delivery. Friday 30.11.15 ~ Japan & Russia. Thursday 3.12.15 ~ Australia, New Zealand & Greece. Monday 7.12.14 ~ Czech Rep, Germany, Italy & Poland. Tuesday 8.12.14 ~ Canada, Finland, Sweden & USA. Wednesday 9.12.14 ~ Austria, Iceland, Ireland, Portugal & Spain. Friday 11.12.15 ~ Belgium, Denmark, Netherlands, Norway & Switzerland. Posted 13/10/2015 by frontrank & filed under Uncategorized. 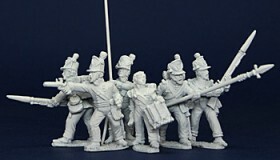 2 NEW 28mm NAPOLEONIC CIVILIAN PACKS available now, ideal for populating your towns & villages. Pack CNPK1 contains 4 gentlemen and a dog. Pack CNPK2 contains a mounted gentleman and 2 ladies. Posted 25/09/2015 by frontrank & filed under Uncategorized. PLUS for larger orders normal discounts STILL APPLY! 1/ check how much you’ve spent on 40mm, before discount deductions and S&H is added. 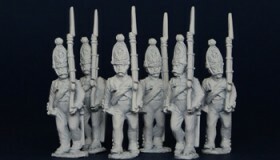 2/ Work out how many FREE 40mm figures (excluding horses) to choose, 1 x 40mm figure for every £10 you spend on 40mm. 3/ List your 40mm FREE FIGURE codes x quantity in the “ORDER NOTES” box next to the BILLING DETAILS on the checkout page. 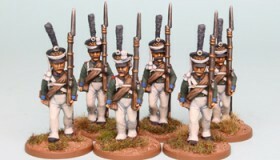 Offer is for FREE 40mm FIGURES only, it does not apply to 28mm figures and cannot be substituted for money refunds, deductions or credit notes. The FREE 40mm FIGURES must be claimed at time of purchase. Posted 02/09/2015 by frontrank & filed under Uncategorized. 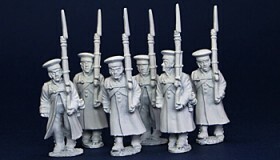 6 NEW 28mm NAPOLEONIC RUSSIAN INFANTRY in GREATCOATS Reinforcement Packs. Packs RNRPK16, 17, 18, 19, 20, & 21 each pack contains a mix of 6 new figures. The Reinforcement Packs are also available in our money saving Reinforcement Sets. Posted 05/08/2015 by frontrank & filed under Uncategorized. Front Rank have been attending shows for nearly 30 years, in that time our ranges have expanded to the point where due to space restrictions etc., we were unable to bring many ranges with us to shows, this and the logistics of organising and attending shows has made us come to the decision that as from now we will no longer attend any shows, this means we can concentrate on our mail order business. We would like to thank all the customers who we would regularly meet at shows, thank you for your support, we hope that we can still offer you a great service through our mail order in the future. Packs RNRPK13,14 & 15, each pack contains a mix of 6 new figures. 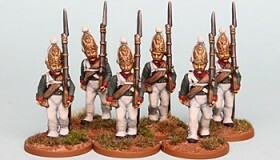 Richard Abbott has been busy painting more of our 28mm Napoleonic Russian Reinforcement packs RNRPK9 – 12.